I have decided that 2019 is the year I am going to try to move up to AerClub’s Silver tier! So I did some investigating and found out some interesting tips and tricks to boost your AerClub Tier Credits. I have been collecting Avios for two years now and I thought I knew every trick to boost my Avios balance! However, one thing I couldn’t seem to manage was how to move from the Green Tier (basic entry level) to the Silver Tier with AerClub. Despite having 69,000 Avios, I am still on AerClub’s Green Tier and not looking likely to move off it anytime soon! I would love to be on the Silver Tier, primarily to be able to use the Aer Lingus AerClub priority check-in and fast track facility in Dublin airport, but also to have Aer Lingus lounge access. There are huge benefits of being an AerClub member if you are a frequent flyer. If you advance to the Platinum Tier, you can get a complimentary upgrade, while the Concierge Tier will guarantee you an economy seat on a full flight. However you don’t have to be a business class traveller to get some of these benefits. 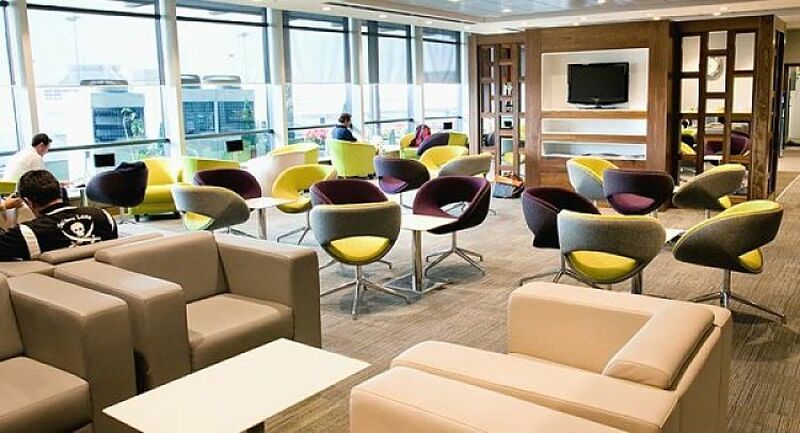 You will see below that a few economy class trips to the USA in one year, or one return business class trip, may see you relaxing in the Aer Lingus lounge in no time! Here are my top 5 tips and tricks to boost your AerClub Tier Credits. 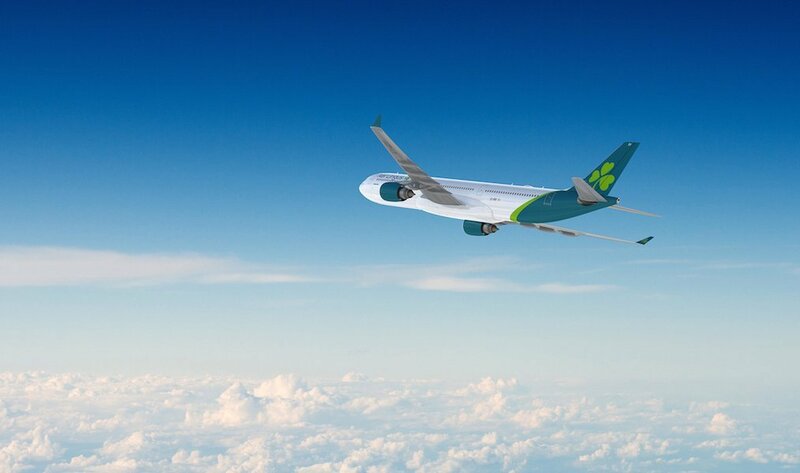 Avios is the reward currency of Aer Lingus, many of its partner airlines and a host of online and high street retailers. There are many ways to collect Avios, including shopping at SuperValu, booking hotels and car hire or dining in the Merrion Hotel. 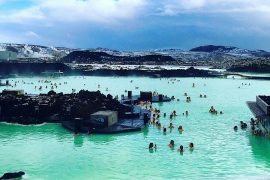 You can then use Avios to buy flights or pay for travel experiences – see five ways to spend Avios here. Avios don’t expire, as long as you collect, spend or purchase at least one Avios every 36 months. Tier Credits can ONLY be earned by flying with Aer Lingus. Unlike Avios which are awarded based on the amount you spend, Tier Credits are awarded based on the type of fare and destinations you book. I love a seat sale as much as anyone, in fact as soon as I receive one of the Aer Lingus 20% off emails, I am online immediately researching flights. What I didn’t realise was you get different amount of Tier Credits depending on fare type you choose, so it is always best to check when you are booking. For instance ‘saver’ and ‘sale’ fare types within Europe offer lower Tier Credits than the ‘plus’ fares. 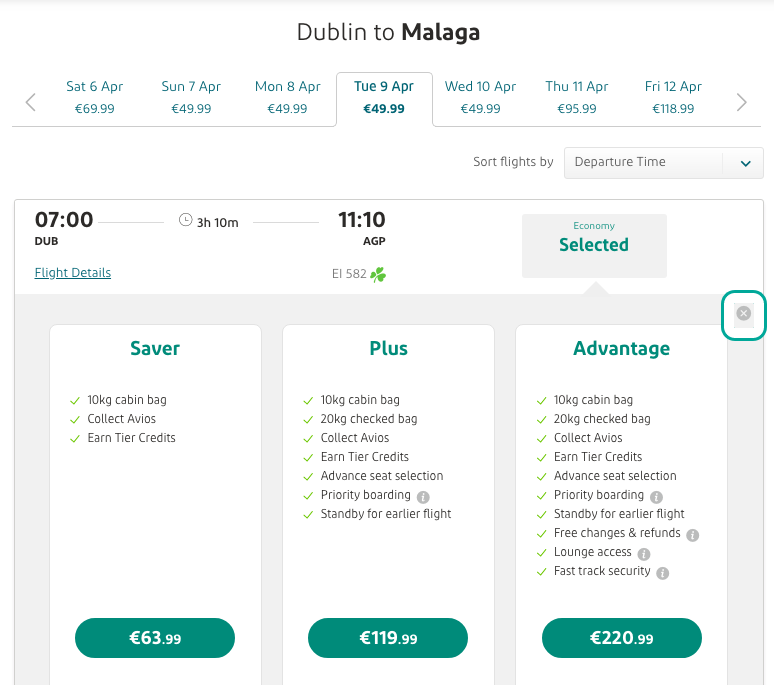 To put this into context, if you book a return sale or promotional fare to Malaga with Aer Lingus you will earn only 15 Tier Credits. If you are not checking in a bag and don’t want to pre book seats, then you are probably still better to go for this option. If however, you are checking in a bag and pre booking seats, you should opt for the ‘plus’ fare. 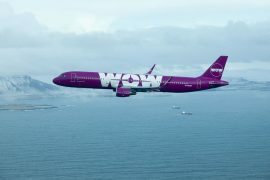 This will give you 50 Tier Credits per return flight. You can check to see what your fare type is by clicking on “About your fare” and you can read more about that here. This may seem obvious but until now I didn’t realise how many flights I needed, to change to AerClub’s Silver Tier. Once you know what you need, you can book flights accordingly. You need to earn 301 Tier Credits in one year to move from the Green to the Silver Tier. This equates to 13 one-way ‘plus fare’ flights to Europe, or seven return ‘plus fare’ flights. However if flying to the USA, you only need 7 one-way ‘smart’ flights to upgrade from the Green to Silver tier. Note all of these are quoted as one-way flights, if you book a return ticket you will get double the amount of Tier Credits. If you can fly business class this will reduce the number of flights required considerably. You will earn 250 Tier Credits with one return business class flight to the USA and remember you only need 301 to move from the Green to the Silver Tier. 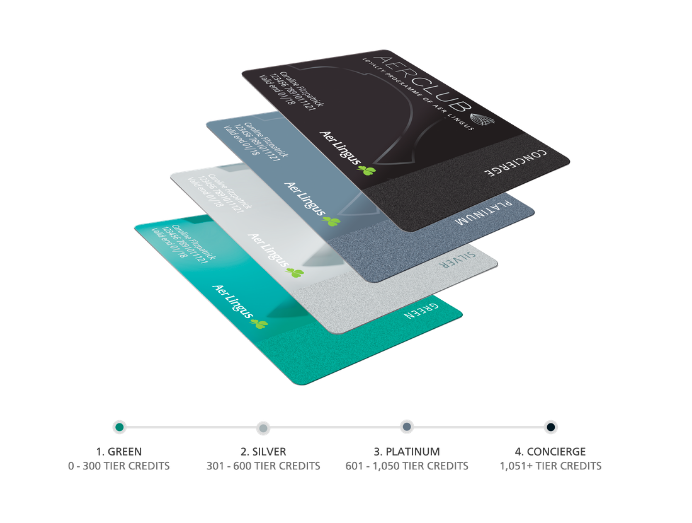 If you are a frequent flyer with Aer Lingus 601 tier credits will see you advance from Silver to Platinum, while 1051 Tier Credits will see you advance to the Concierge Tier. See more details here. I flew to San Francisco via London two years ago and vowed I would never to do it again. Flying direct from Dublin and clearing emigration before you leave, saves you so much time and stress, with the added bonus that your luggage will more likely arrive on time too! 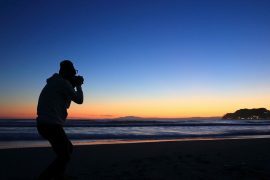 Sometimes you may find prices a little more expensive by flying direct, but believe me when I tell you it is worth it. For most of us, flying transatlantic will mean you need to check in a bag. If this is the case, opt for a ‘smart’ fare and you will receive 100 Tier Credits per return journey. Just to confuse things, Aer Lingus do have promotional fares in the ‘smart’ category, where you will only earn 50% of the regular smart economy fare, so be careful to watch out for these. Click on the ‘About your fare’ section when booking if you are unsure. 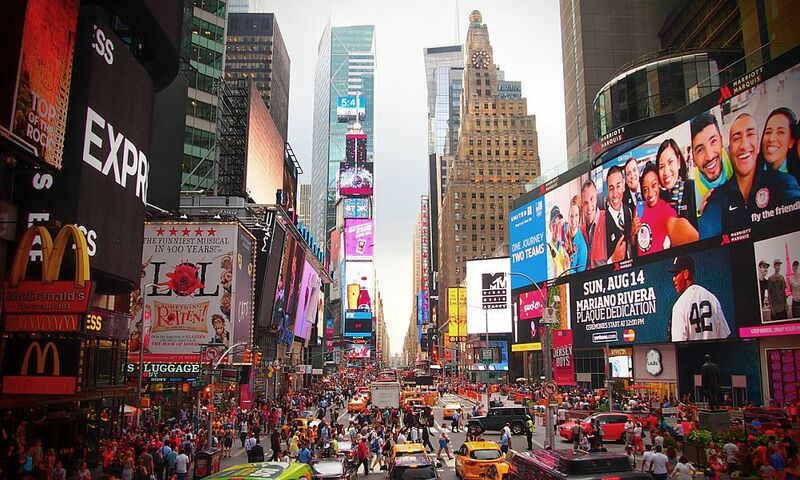 If you fancy treating yourself, you can earn 250 Tier Credits with a return business class transatlantic fare. This is extremely important because every year your AerClub Tier Credits will reset on your anniversary (the date you joined AerClub). You can easily check your anniversary date and your up-to-date Tier Credits by logging into your AerClub account. If you move a tier within your current membership year (e.g. move from Green up to Silver), then you’ll remain in the Silver Tier for the following membership year. Check out this short video for more details. For more on AerClub’s tiers and benefits, click here. This post, was sponsored by Avios, but all views, as always, are my own.